Sailing yacht Helia 44 named HEL 44-15-CRO was produced in 2015. We propose this boat from harbor Zadar in surrounding area of Zadar. HEL 44-15-CRO is licensed for 10 passengers. Layout of the sailboat is 10. Helia 44 HEL 44-15-CRO is equipped with 4 cabins. For guests disposal there are 4 WC. You can fill the fuel tank with 470.00 l l. and in tank for water it goes even 750.00 l l. With engine 2x40 hp HEL 44-15-CRO can navigate really fast. 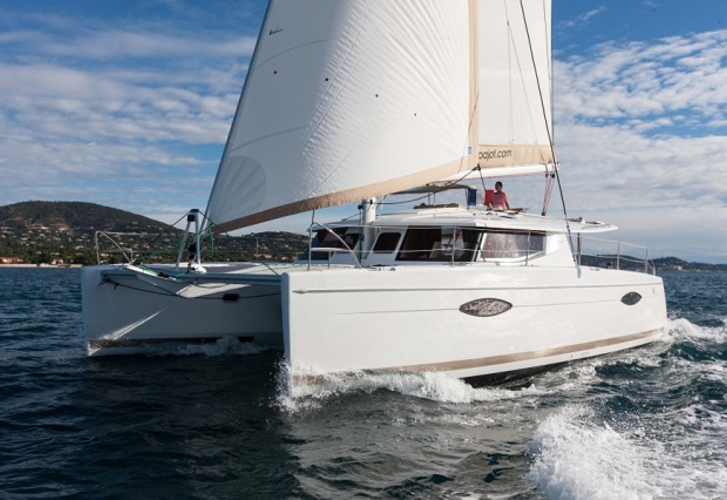 Use our website to find other boats under the link: Catamarans Zadar. Deposit is 3000.00 EUR. Choose our offer and enjoy your vacation on the deck of HEL 44-15-CRO. This Helia 44 from Zadar from Croatia Find about by navigating to the section Catamarans Croatia.